My husband and I are doing this for the second time as we prepare to take our youngest to college in two weeks, but even on the second go-round, it feels like new territory. Helping our children take their first steps into independent adulthood can feel scary, yet we can trust the same God who led us during their growing-up years will continue to guide us now. 1. Entrust Her into God’s Care. Remember God cares for your child infinitely more than you do; even after your teen leaves home, God will watch over her. Pray intentionally each day to entrust your new college student into God’s loving hands. Ask the Lord to prepare her for her new adventure. The weeks before your child leaves for school, errands, shopping, and maybe last minute medical appointments will keep you busy. Your teen might have a full social schedule as he says goodbye to her friends. Quality time together might take effort, but make time to stop for a coffee break together between errands, or make family dinner a high priority several nights a week. Interruptions are easier to reframe into opportunities when you know your days together are numbered. Last night when my daughter said, “Mom, can I talk to you?” at 10:30 pm, remembering she leaves for school in two weeks helped me see a late-night chat in a positive light. How do you think having a strong faith will help you during college? How do you plan on connecting with God the first two weeks of school? How will you find a church or Christian student group? When will you plan on studying? How will you handle your finances? Sometimes our kids’ answers may be different than we’d expect, but we need to listen. The more ownership they have of their goals, the more effective the plan will be. If possible, make a quick visit to your child two weeks after school starts to check in and see how his plan is going. My husband and I drove down for lunch with my son, but we’ll have to use Skype to check in with our girl. Of course, monitoring our kids throughout their college careers would be unhealthy, but offering a special check-in time after the first few weeks might offer the reassurance and accountability they need. Rejoice in this new stage of your child’s life, and make time to celebrate. Do what you can to make your young adult feel special before she leaves home. Take a family outing, do something she particularly enjoys, or go to a movie together. Plan a special celebration dinner before your teen leaves home and give her a special memento to take with her to college. 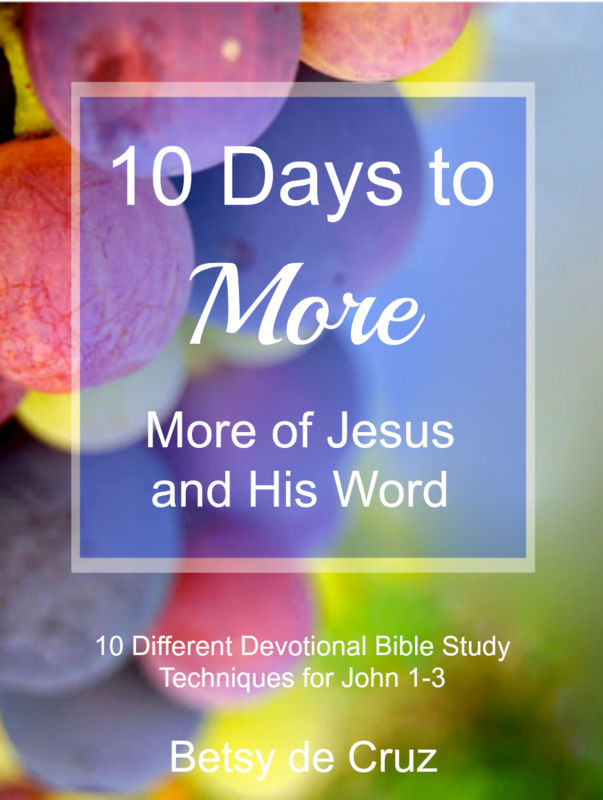 While sending our kids off to start college can cause emotional upheaval, we can rest knowing this is just one more step in God’s plan for them. He has perfect timing for each stage in our lives. Now it’s your turn: what tips do you have for a parent sending their child off to college? 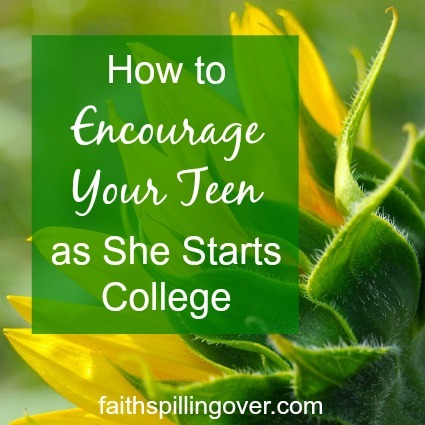 More Ways to Encourage your New College Student. Sticky Faith: Everyday Ideas to Build Lasting Faith in Your Kids by Kara Powell and Chap Clark. This book is full real-life ideas to help your children start a life-long faith walk. The closing chapters on preparation for college helped our family immensely. I haven’t read this yet, but the title and table of contents intrigue me. A good friend recommended it, and it’s on my list to read next! This post contains Amazon affiliate links. 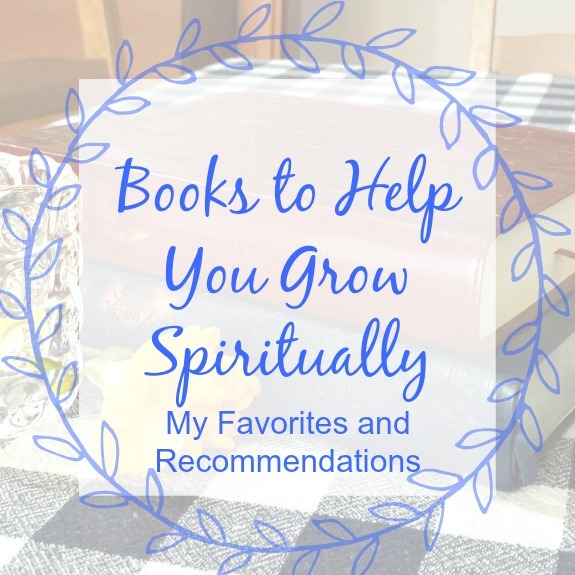 Purchasing one of the resources through my link on Amazon earns me a small commission towards the maintenance of my site at no extra cost to you. Great tips, Betsy! I’m thinking you are becoming a pro at sending kids off to college, but honestly it is a difficult rite of passage. I remember the roller coaster of emotions and the thought of telling them “one more thing” so they will be ready. However, you lay it out better with your five tips. Sticky Faith sounds like a great book to help in this process. I hope you link this up #TellHisStory later. Praying for you, your husband and daughter during this transition. Oh Mary, thanks so much, friend! I know you have experience! Thanks for reminding me about #TellHisStory! I’d forgotten. I know you understand totally where I’m coming from! <3 Praying for you and your family now. i haven’t heard of Sticky Faith but that looks like a great resource! Love your suggetion to get quality time when you can. I’ve found with my olders that I need to take their phone calls WHEN they call — which is always the most inconvenient for me. In the check-out line or just as I’m heading to bed at 10:30. But that’s when they want to talk! Also this from a friend: let the be the one to hang up. Such good advice so I’m not always the one saying, Ok, I gotta go! Thanks Betsy. I’m looking forward to the rest of this series! That advice is pure gold: let them be the one to hang up! I love that. Thank you for sharing it, Lisa. And I know what you mean about taking phone calls when THEY can talk! God bless you as you send your baby off to college. I thought it would be easier when we sent our 2nd, but it was still hard, just different. Entrusting them to God is such great advice. And all in all, it goes by so quickly! Thanks, Lisa. Yes, it does go by quickly. I can’t believe my son is about to graduate! Great advice! I love the reminder to entrust our loved ones to God’s care. It’s easy to worry when things are out of our control, but He is always close, ever watching and bringing together a beautiful plan. 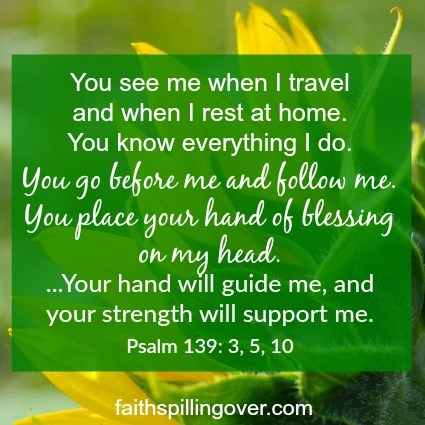 Thank you for sharing – God Bless! Amen, Misty. It is true that HE is bringing together a beautiful plan. So good to remind ourselves of this. Dear Betsy, what wise words! I could have definitely used your post 20+ years ago when our kids started off to college. We don’t have any military-bound young adults in this generation, but I think your suggestions would be just as valid for them. Thanks for using your experiences to bless others! Thanks so much, Alice. I appreciate your encouragement. Such good advice, Betsy. Wish I’d had this wise advice when we sent ours off. I’ll use it for my grands though. Your intentionalness (is that a word?) blesses and inspires me. Thank you! Thanks for your encouragement, Stephanie. I appreciate you so much. OH, I love this! As I send my youngest off to college, I have reminded myself that God cares for and loves her more than I am capable of, which is hard to wrap my head around, but it’s so true. We keep a running tab of all His goodness in her life so she can also walk bravely into each adventure. Crystal! You’re sending your girl off to college too? May the Lord bless and keep her as she goes. I know He has a great plan for us all. So much wisdom here – I hope to share with some moms facing this season. Thanks for sharing. Praying for a wonderful year for your daughter!! Thank you, Jennifer! I appreciate it. Love that you included the resources. I’ve not heard of either but will be investigating them. In two years we may be going through this again. Great post, Betsy, especially in light of everything on your plate right now. Keeping y’all in prayer. Thanks so much, Kristi! I appreciate you. We learned so much from Sticky Faith. Great, practical ideas. Grace to you, friend, as your husband begins driving! I loved reading this and it’s so relevant to my life right now! Thank you for your encouragement, Betsy! Dawn, I loved seeing your IG pictures of you dropping off your girl at college. Grace to you, friend. Wish we could sit down for a coffee and maybe cry a few tears together! 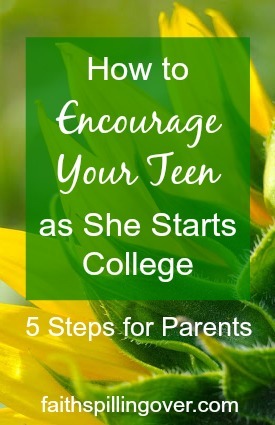 I wish I’d had these resources when I sent my kids off to college. I think the biggest and hardest hurdle is entrusting them to God’s care. But, I have to remember, even now that they are adults, I must constantly lay them on God’s altar and trust them in His loving care….after all….they were His before they were mine. I’ll be tucking this series away for the coming months, Betsy! My oldest is entering grade 12 this year and I KNOW I will have a hard time if she decides to go to college away from home right after she grads. Thanks for sharing on Grace & Truth. Hi, Betsy! I work for ForEveryMom.com, a Christian parenting site. I love this post – and I know our readers at ForEveryMom.com would, too. 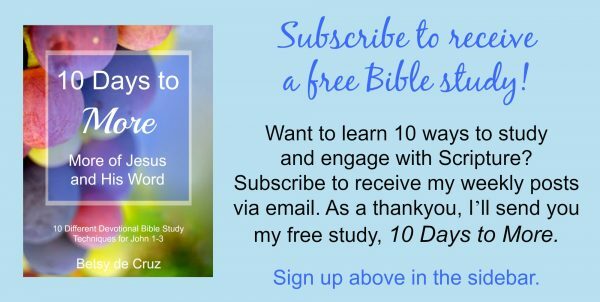 It’s so helpful and practical, while also being encouraging! Would you allow us to republish this post on our site, to share with our readers? We would give you full credit as author, link back to the original post, and include your bio and head shot. What do you think? 🙂 Please let me know any questions you have, and if you’ll allow us to share your post. Thank you for considering! I’ll send you an email, Mary. Thanks so much for thinking of me. I appreciate it.